Exciting news! My team and I have put our heads together on a few updates for my brand moving forward. 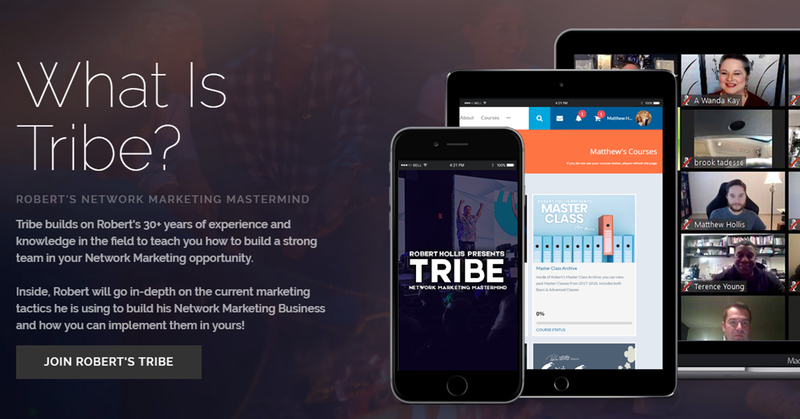 As you log in to your dashboard, you’ll notice that our $19.99 subscription, formerly known as “Master Class Basic”, is now called TRIBE. I believe this name fits the program perfect moving forward. Inside TRIBE, I will go in-depth on the current marketing tactics I am is using to build my Network Marketing Business and how you can implement them in yours! The content in Tribe (Live Shows Every Saturday @ 11am PT) will be primarily for Network Marketers, I will focus my 30+ years of experience and knowledge in the field to teach you how to build a strong team in your MLM. Those that join my Inner Circle (Live Breakthroughs Every Tuesday @ 3pm PT), will get access to all of my personal development training, all of my courses, access to everything in TRIBE as well as in depth live breakthrough sessions where we will be focusing on your personal blocks and making sure each and everyone one of you gets the breakthroughs you need to push forward in life and business. Don’t worry, EVERYTHING you had in your current subscription is exactly the same – Nothing will be taken away or changed besides the name. All past Master Classes have been stored in a new archive titled, “Master Class Archive” – You can find this on the “Your Courses” page. My team is constantly blowing me away with their creativity and we believe these changes will help clarify the two subscriptions moving forward, and simplify your experience here with me.